Toronto is a large city, and to visit it properly, you need at least three or four days (or a lifetime) but if a day, or even a few hours, is all you’ve got, look no further than this post. Once at Union Station, take a few minutes to look around the station’s departure hall (turn right as you exit the UP Express lounge). Union Station has been designated a National Historic Site of Canada and a Heritage Railway Station. Designed in the Beaux-Arts style and opened in 1927, it is now the busiest transportation facility in Canada, serving over 250,000 passengers daily. If you don’t mind spending at least $63 on a couple of Toronto’s biggest attractions, you barely need to step outside. Just follow the Skywalk from Union Station (left turn from the UP Express lounge). 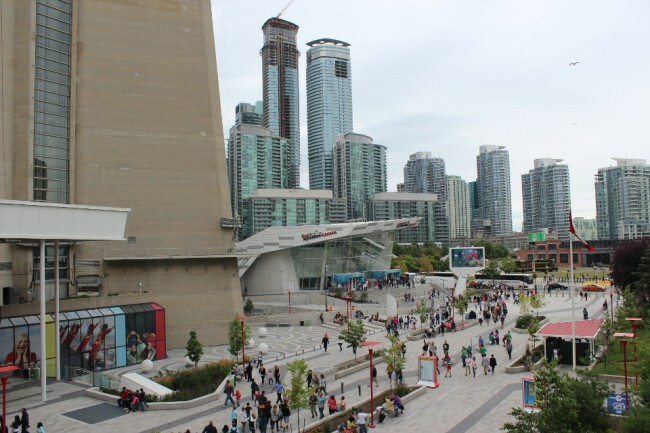 The CN Tower and Ripley’s Aquarium of Canada are right next to each other at the end of the Skywalk. The admission prices are $35 (base fare) and $28 respectively. Allow about an hour for the CN Tower and an hour and a half for the Aquarium. If it’s overcast, your view from the top of the tower will be limited. Look up to see if the viewing platform is hidden in the clouds before handing over your money. Toronto is built along the shores of Lake Ontario, one of the five Great Lakes (yes, it’s huge). If the weather is nice, you may want to head south from either Union Station or the CN Tower to reach Harbourfront (4 to 5-minute walk). You can stroll along a one-kilometre boardwalk and admire the tourist ships, sailboats, and buskers (in summer), the pond, and the amphitheatre. In the warm season, an ethnic food and handicraft market also sets up next to the stage. 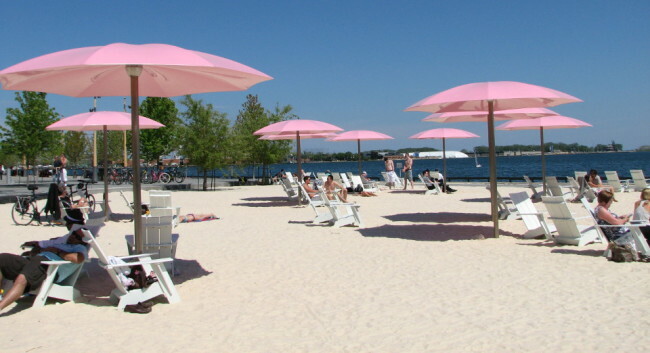 A less busy stretch of waterfront (known mostly to locals) also extends from the foot of Jarvis Street to Sherbourne Street a little further east, including quirky Sugar Beach, an artificial beach with white wooden chairs and pink umbrellas overlooking the lake and a sugar factory. Sit in the sun and you may be able to watch a container ship unload its cargo of sugar! 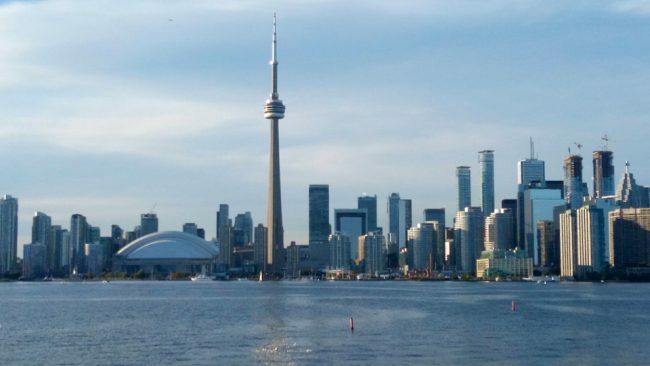 If your Toronto layover occupies most of a day, you could also take a ferry from the foot of Bay Street to the Toronto Islands, a car-free area of green grass, beaches, and small marinas. It’s one of the most peaceful places in the city. Do not attempt this on July 1st (Canada Day) or on a summer week-end if you only have a few hours. Ferries can run late and take a long time loading and unloading passengers on busy days. Toronto is probably the most multicultural city in the world, and nowhere is this more evident than in the adjacent Kensington Market and Chinatown areas. These are neighbourhoods, not shopping malls, so you’ll be outdoors, but there are plenty of restaurants and cafés to hide into, should the weather not cooperate. To get here, take streetcar #510 westbound from Harboufront, and get off on Spadina Street at the corner of Dundas Street. From Union Station, take the subway to Dundas Station and then streetcar #505 westbound. Chinatown extends north and south along Spadina Ave, as well as eastbound on Dundas. If you go west on Dundas from Spadina, then turn right (north) on Kensington Ave, you’ll be in Kensington Market. This market, which started as a Jewish Market in the early 20th century, has been home to successive waves of immigrants from Portugal, Italy, the Caribbean, Latin America, and the Middle East. Now you can find shops and restaurants displaying all of these influences. 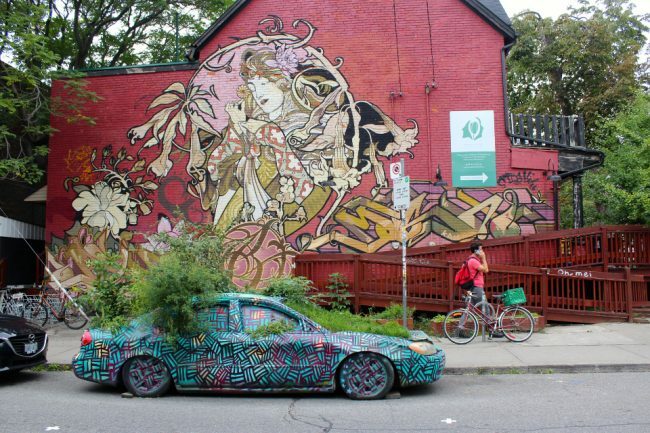 If you like street art and murals, you’ll love Kensington Market. Follow the small alleys and poke your head into the vintage stores. Allocate at least a couple of hours, especially if you want to browse in the shops and have a bite to eat. From Union Station, you could also head due east on Front Street. 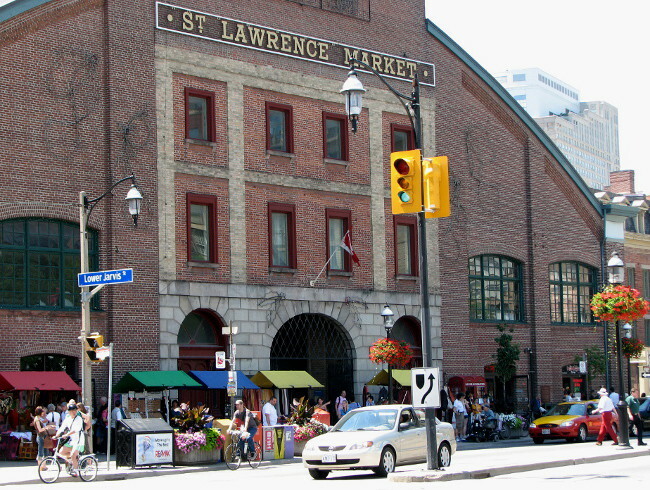 A 10-minute walk will bring you to famous St. Lawrence Market (corner of Jarvis Street). Don’t forget to turn around a few times to see the buildings of the Financial District all bunched up together in a rather pleasing and photogenic way. The indoor St. Lawrence Market, housed in a historical building (1845 – rebuilt twice), offers 120 vendors, merchants, and artisans. It’s mostly a food market, including many stalls selling prepared foods such as crepes, pizza, pasta, fish and chips, perogies, and more. It’s the perfect place for a cheap lunch, or to buy the ingredients for a picnic. 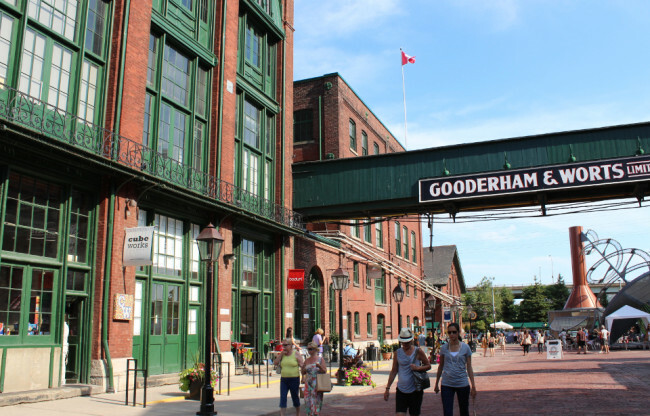 If you have more time, exit at the southern end of the market, and walk east on The Esplanade Street for about 10-15 minutes to get to the Distillery District. This is a pleasant walk from spring to fall, when the trees lining the street provide a canopy of foliage. When the street seems to stop, keep going straight on the little pathway until you reach Parliament Street. You’ll see the Distillery District across the road. Opened in 2003, after the renovation of dozens of Victorian industrial buildings that belonged to an old distillery and mill, the Distillery District is one of the most unique sites in Toronto. Completely pedestrian and cobblestoned, the area houses one-of-a kind stores, shops, galleries, studios, restaurants, cafés, and even a theatre. Goods don’t come cheap here, but if you’re watching your pennies, head to either Balzac’s (for great coffee and decent pastries) or Mill Street Brewery for pub food and craft beer. For a treat, Soma also makes its own gourmet chocolate on the premises. It’s a great gift idea, and more original than what you’ll find at the airport. Try the spicy Mayan hot chocolate on a cold day. From the eastern end of the Distillery, you can take streetcar 514 (brand new tram) or walk north to King Street and take the 504 streetcar going west. Both will take you along King Street and into the Financial District. Get off at Bay Street, and walk west over the next block or two, occupied by all the top Canadian banks, insurance companies, as well as the Toronto Stock Exchange. This is Canada’s financial heart. Look up and try not to get dizzy. If you still have some time, you could get off the street and explore the little plazas and courtyards between the skyscrapers. You will find interesting sculptures such as “The Pasture” (seven bronze cows on a lawn) at Toronto Dominion Centre Park, and “Tembo, Mother of Elephants” in the Commerce Court West courtyard. Go south on York street or University Avenue and you’ll find yourself back at Union Station. 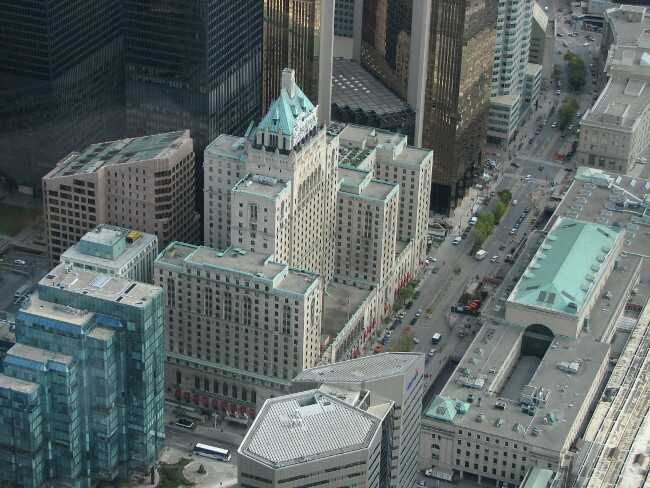 Don’t forget to take a look across the street at the Royal York (now a Fairmont Hotel), a historical luxury hotel which at one point dominated the city’s skyline. Allow three hours to do this whole circuit without rushing, including a couple of stops for food and refreshments. Talking of luxury, if you’re on an expense account or have an inheritance to burn, I recommend a meal at Canoe, on the 54th floor of the TD Bank Tower. Not only will you enjoy a great view of the lake and the downtown core, but this may be as close as you get to sampling “Canadian food” (a very elusive thing). Tasting menus and à la carte dishes include maple cured salmon, Alberta lamb saddle, and the classic Canoe butter tart, all highlighting national flavours and ingredients. You’ll probably want to make a reservation. I’ve mentioned streetcars a few times. The ones you’re most likely to need to visit the places mentioned in this article are #504 (King Street), #505 (Dundas Street), #514 (Cherry Beach), #510 (Harbourfront and Spadina Avenue). 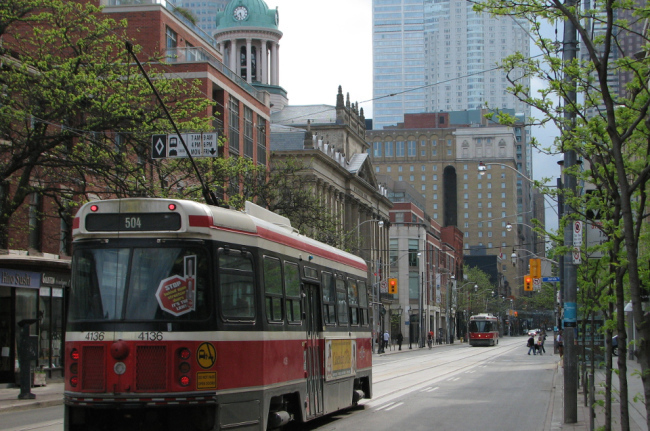 You may also want to ride the #501 (Queen Street) which passes by the Eaton Centre, a popular indoor shopping mall, as well as the new and old City Hall, all located between Yonge Street and University Avenue. It then continues toward the trendy shopping areas of Queen West and West Queen West. You’ll also find the subway (underground train) running along a U-shaped route on both Yonge and University, with the bottom of the U at Union Station. Cash fare on all public transit is $3.25 (regardless of the distance) and you can transfer for free. Don’t forget to obtain a transfer from a machine at the subway stations, or ask the streetcar driver for one. See here for more information on the TTC (Toronto Transit Commission). 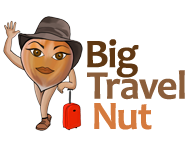 I hope these ideas will help you have a more interesting and fulfilling Toronto layover. Note: Toronto is very safe, so solo females will have no problem walking around and taking public transit, even at night, in most areas (including all areas in this post, except perhaps The Esplanade late at night).